So there are just 3 more days to go until TM-day and I’ll admit I’m petrified and slightly questioning why it was I thought this was such a good idea. On Sunday Sandra, Lucy and I had our second to last training session, on Thursday we have our last. Sunday’s session was good fun, but hard work and has made me panic that we’ve not done sufficient cross-training for the event. It’s amazing how running-fit you can feel, but how quickly this disappears as soon you find yourself doing something out of your comfort zone. 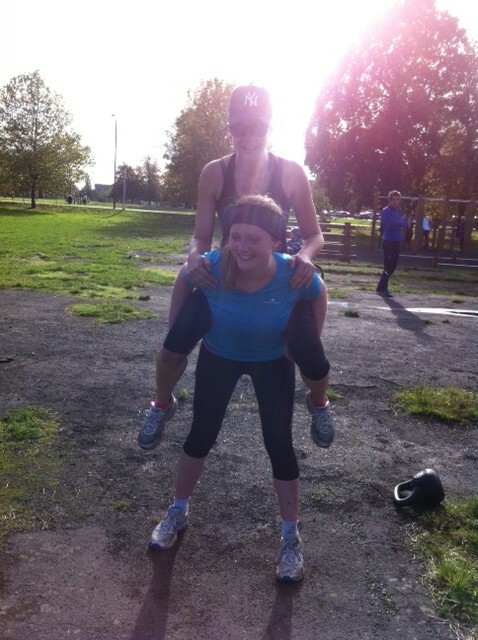 We worked through some of the circuits from the TM training plan, which included burpees, press-ups, skipping, squats with a kettlebell, plank variations and much more (follow the link here to try some out for yourself). 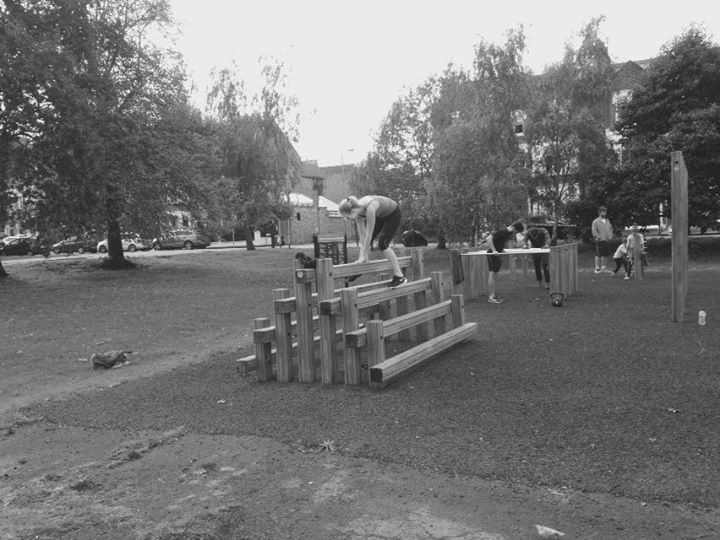 We also added our own exercises using the outdoor gym in Clapham Common. After an hour and a half of circuits, a 6k run and one bloody nose later (following a run-in between Sanj and a wooden hurdle) we emerged muddy, sweaty and rather weary. As anyone who has read my blog from the start may know, I was initially inspired to write by my TM training. Since then I may have gone slightly off-piste, but as a result of the project, and the impetus to write about it, I have taken up climbing and climbed in three different countries, got back into dancing, started to do yoga, trained as a swimming teacher and remembered how much I love swim training myself, significantly improved my running, gained a couple of PBs, entered a marathon, suffered a number of injuries, learned to appreciate my body and come out at the end much happier. I’ve also made so many friends along the way that I never would have met were it not for my training. So was it all a good idea? Well, from the above it would certainly seem so, (horrendously cold, horribly muddy event day notwithstanding). Will I stop writing now the final hurdle is fast approaching? I’m afraid not! In the same way I’ve caught the exercise bug, I’ve also got the writing bug so you must continue endure more of my nonsense as I train for the Paris marathon. Thank you so much for reading and following me over the past nine months. More to come soon, but the next time I write I will be a Tough Mudder (fingers crossed).